Meander down J.M. road, if you walk from the Jhansi Rani Laxmi Bai Statue you’ll spot over a dozen stores to shop from. You could choose to shop from branded stores or hop into local, affordable shoe stores that offer a wide range. You’ll find everything from boots, stilettos, formal and casual shoes for men and whatnot. Shop for everything you need whether it’s for a shaadi or a party. We found sparkly heels that would look great on a saree or a lehenga or even a western outfit, for INR 2,783. Or you could slip into suede blue heeled-boots and strut through winter for INR 2,874. They have a large collection of flats and a lot of mens shoes too. The store gets local factories to design shoes and stocks the store up with them. The store is full of men’s footwear starting at INR 500 for slippers and other casual shoes. We loved a black formal pair for 1250 and another tan shoe for 1595. The store also has a few brands on the rack. This huge store is home to a range of footwear. It’s one of those places where you’ll get any kind of shoe you need. We liked the leather mules for INR 1300. They have quite a wide range of leather loafers, formal shoes and casual ones too, for men. 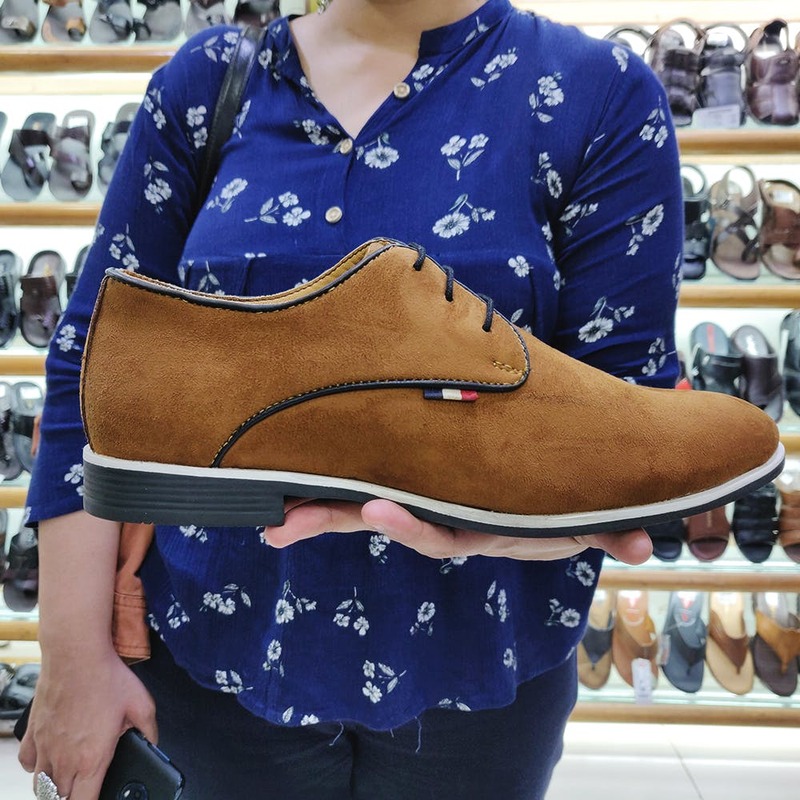 We liked a tan suede shoe for INR 1390. We found original FILA and U.S.Polo Assn loafers starting at INR 2,000. These would look great when you’re hanging out on a weekend, wearing chinos and light linen shirt and looking effortlessly cool. For women, we liked platform heels in black and tan starting at INR 1,100. They’d make for a great pair to have for a casual dinner or a date night.